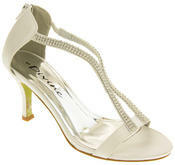 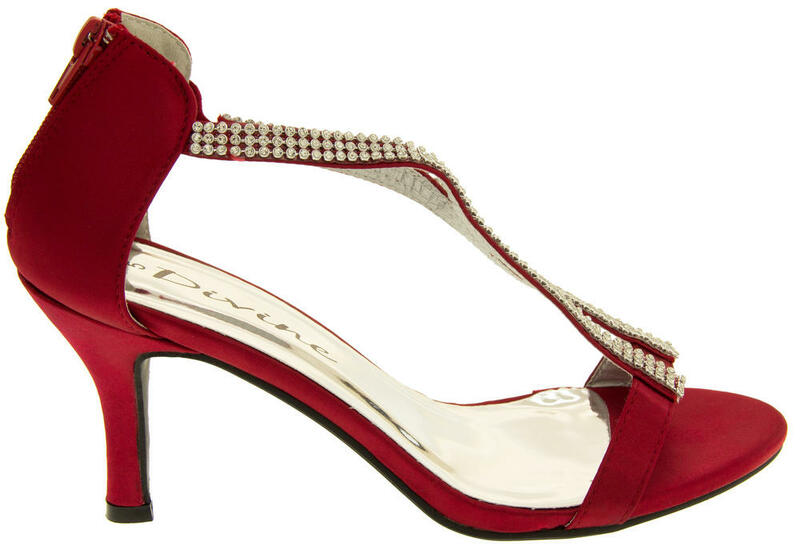 Stand out form the crowd in these stunning satin party heels! 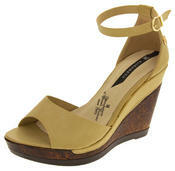 With a 3 inch stiletto heel and a zip fastening at the the back of the ankle. 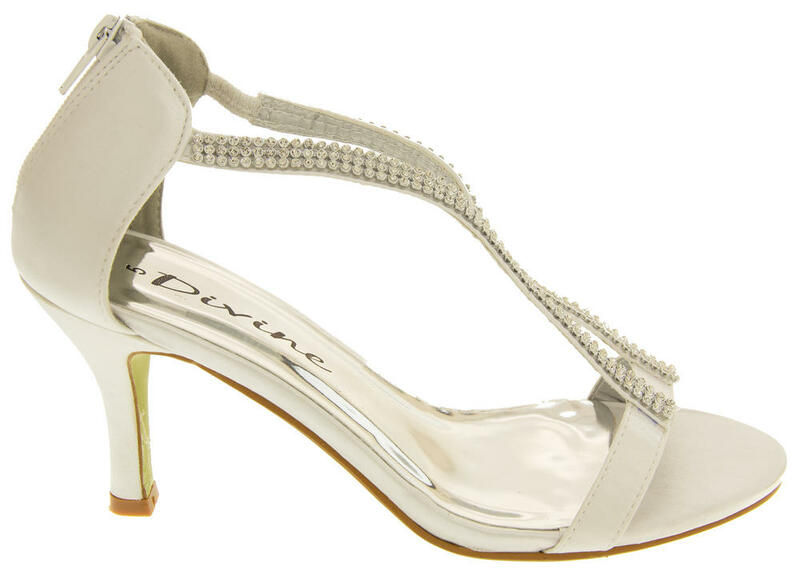 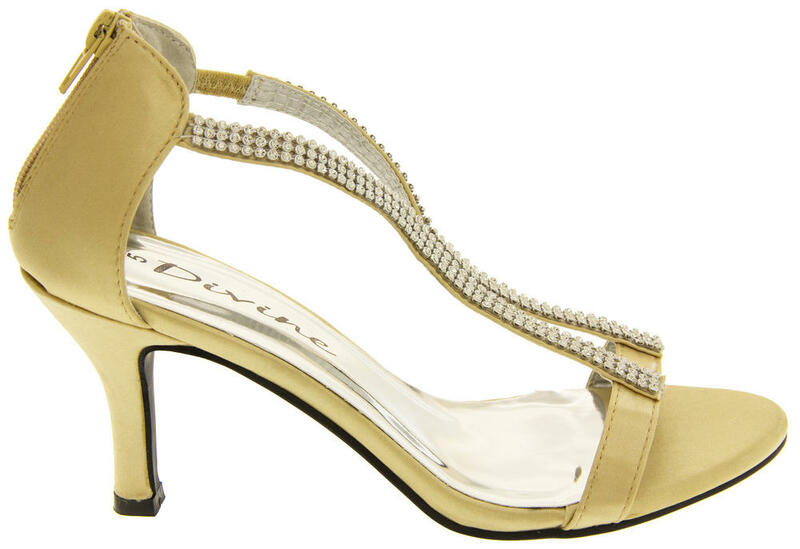 The twin diamante straps on these gorgeous sandals will add a touch of sparkle as you dance the night away! 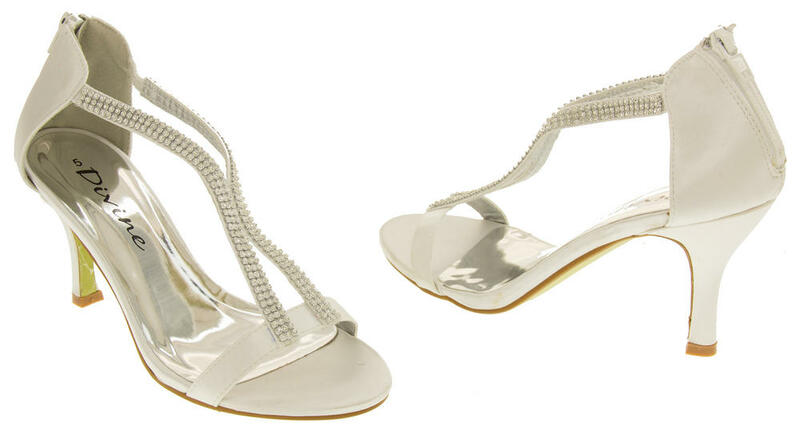 Perfect to wear for parties, weddings, bridesmaids, proms and other special occasions. 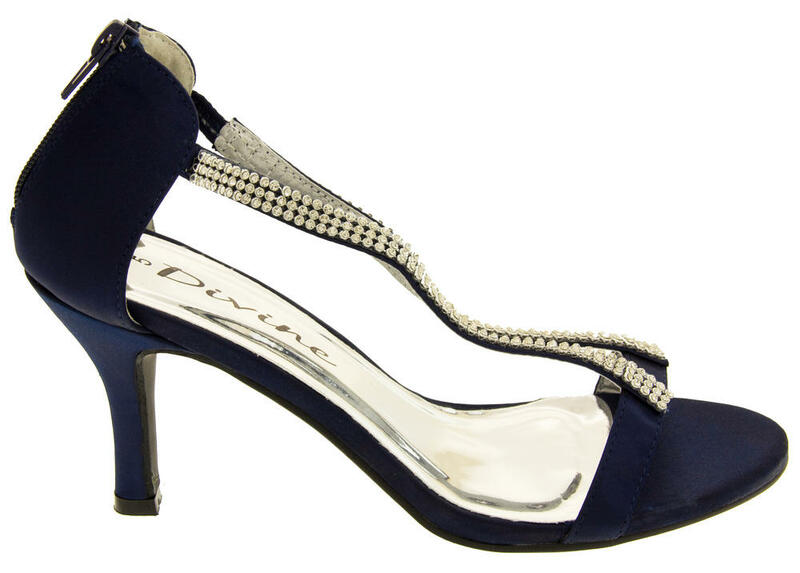 Turn heads with this stunning design!